NIAGARA-ON-THE-LAKE, ON – In another example of the camaraderie that exists between small breweries, Silversmith Brewing has announced that it will be helping to promote a long-planned new brewery that will be opening nearby. First announced more than two years ago, The Exchange Brewery is currently under construction at 7 Queen Street in downtown Niagara-on-the-Lake, with an opening date still to be confirmed. 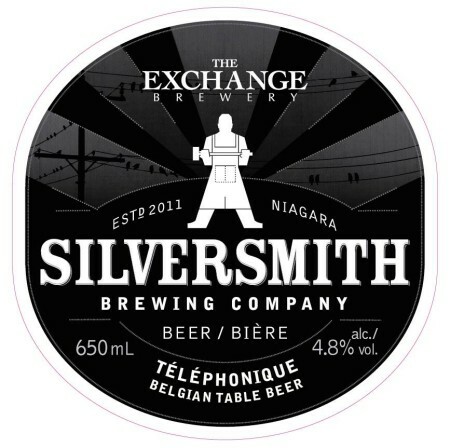 In the meantime, Exchange owner and brewer Robin Ridesic has collaborated with Silversmith to create Téléphonique, a 4.8% abv Belgian-style table beer. Téléphonique will be released next Tuesday September 8th in a limited run of 650 ml bottles at the Silversmith retail store.